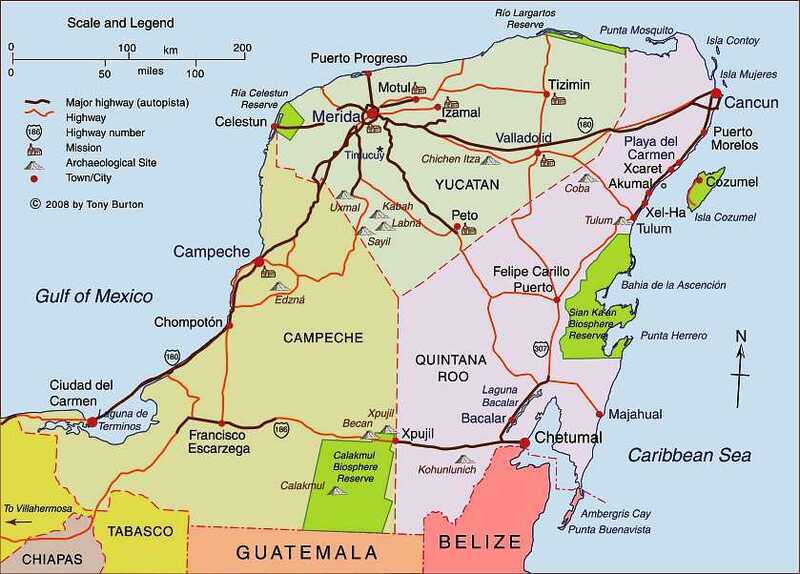 When I first began traveling in Maya lands, the Maya did not appear to have a history. 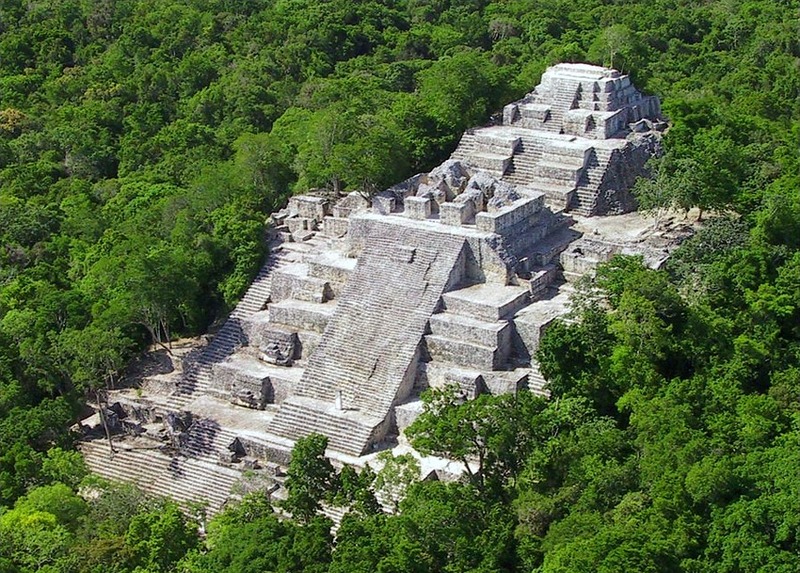 Now that so many of their glyphs have been translated, we see that—particularly in the Classic Period between AD 600 and and some point in the 9th century AD, most of the major archeological sites not only had a history, but a rich one as well. 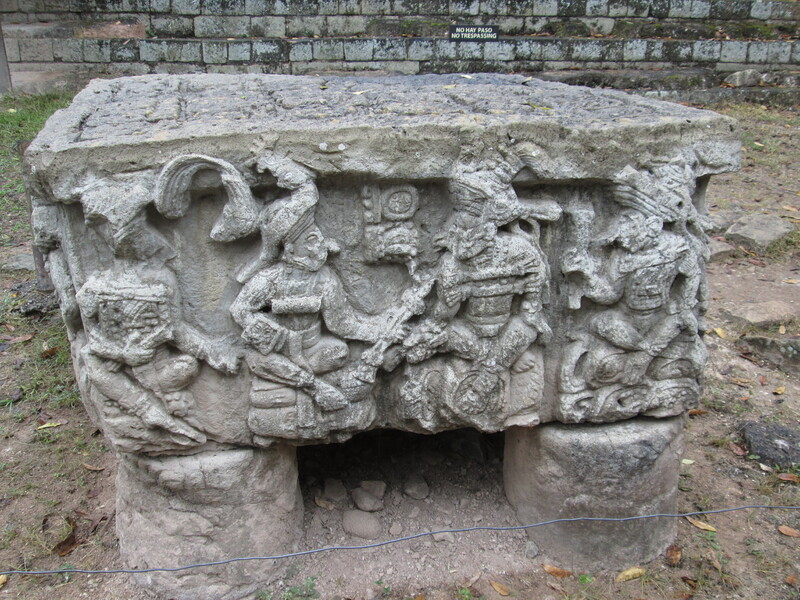 It was Ukit Took’, the last known ruler of Copán, who dedicated Altar L, shown above, identifying his predecessors. 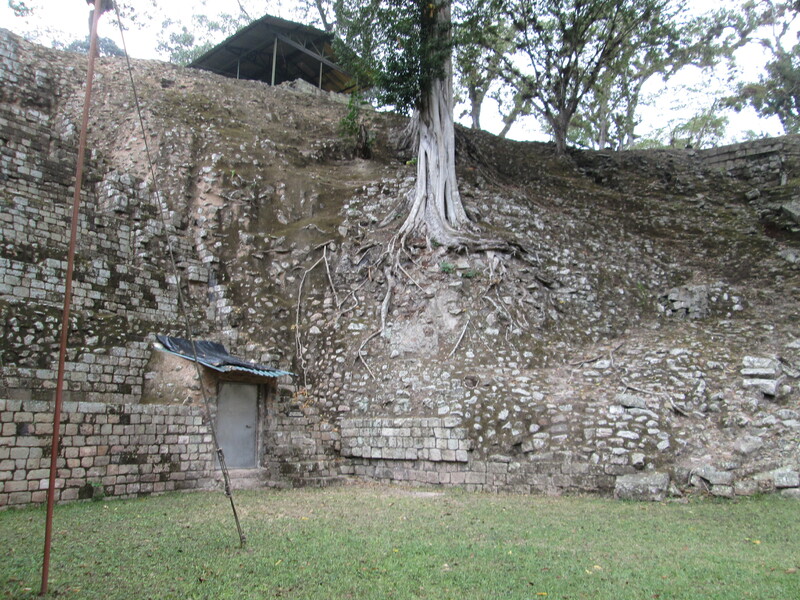 There are no known dates at Copán after 822 AD. What happened in 822? The kingship failed for various reasons, as it did around then through most of the adjacent area, for environmental reasons (probably drought), overpopulation, and a change in the form of governance. As alien as the dynastic names above may seem, the chronology is surer than that of many European dynasties of the period. 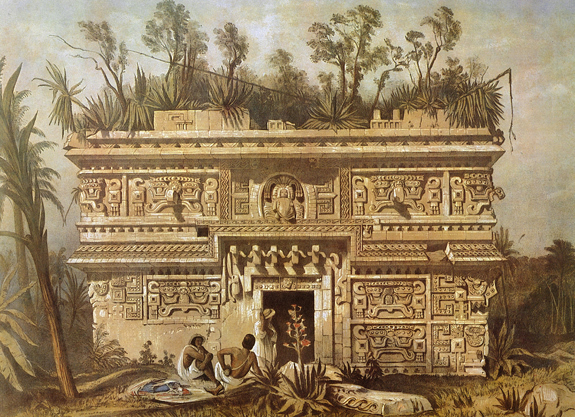 The calendar was sacred to the Maya, so they were sure to note the exact date that events occurred—and that didn’t even happen in most European countries of the Dark Ages.